Hello again, Citrus Twist fans! This is Megan and I am back with a simple tutorial for you. 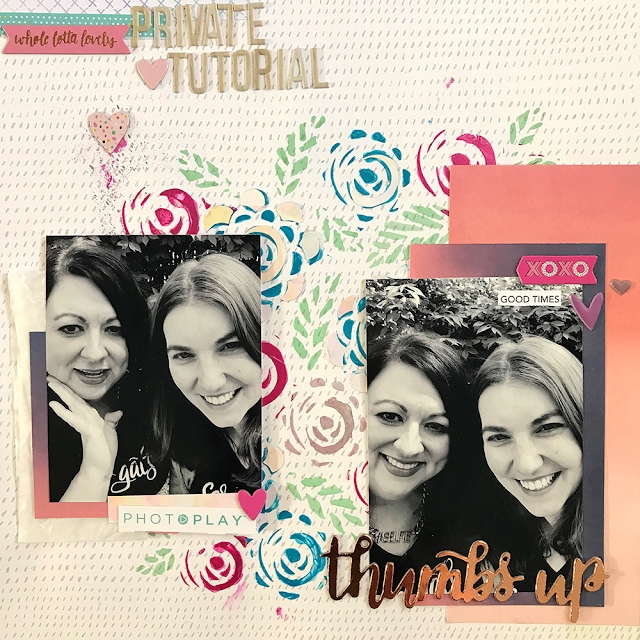 I am having so much fun using the Boardwalk scrapbooking kit this month! If you're not already a member you can use my code, MEGANB25OFF, for 25% off your first kit in a NEW subscription. I don't know about you, but I have a hard time using cut files. There is so much inspiration out there, I really don't know why this is a problem for me. I decided that since I have such a hard time using them I would do a tutorial on different techniques. I have 3 different ideas on how you can use ONE cut file on a layout. I actually used these 3 ideas on 2 layouts. 1.) 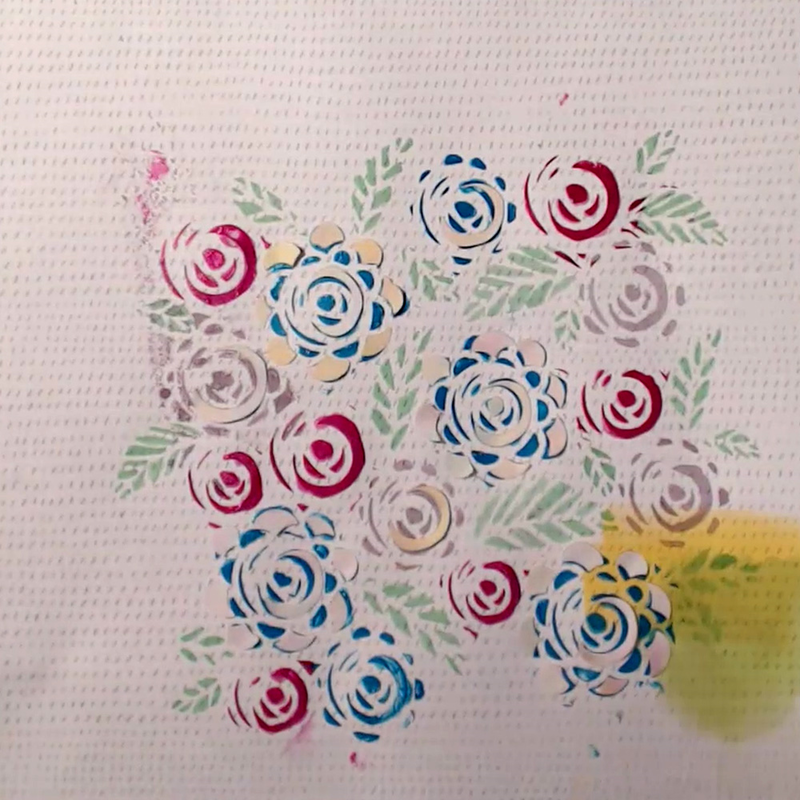 Use the cut file as a stencil. This technique isn't anything too crazy, but I really love the texture you can add to a layout when using mixed media and a stencil. I am pretty cheap when it comes to buying stencils so this is a way to be able to make my own, since I have a Silhouette and can use that to cut out whatever files I want. For this background I used a paper from my stash because I'm all out of the ones from the kit. I've been making so many layouts, I didn't have another 12x12 piece. Ooops! I wanted to use the front side of the cut file for my 2nd technique so I flipped the cut file to the back and started painting away. I used Heidi Swapp Color Shine in Patina for the leaves and Shimmerz Paints Dazzlers in Gummy Berry Blue and Pucker Up Pink for the flowers. 2.) Use the cut file as is. This is probably the most popular technique to use your cut files. You can see that the mixed media I used kind of seeped through to the front side of the cut file. I actually really like how that turned out. It gives the cut file a bit more texture and color. Using the cut file in opposite corners creates a framed in look and brings your eye right into the photo. I will eventually do journaling on the left side of the photo to complete the frame look. 3.) Use the negative piece of the cut file. 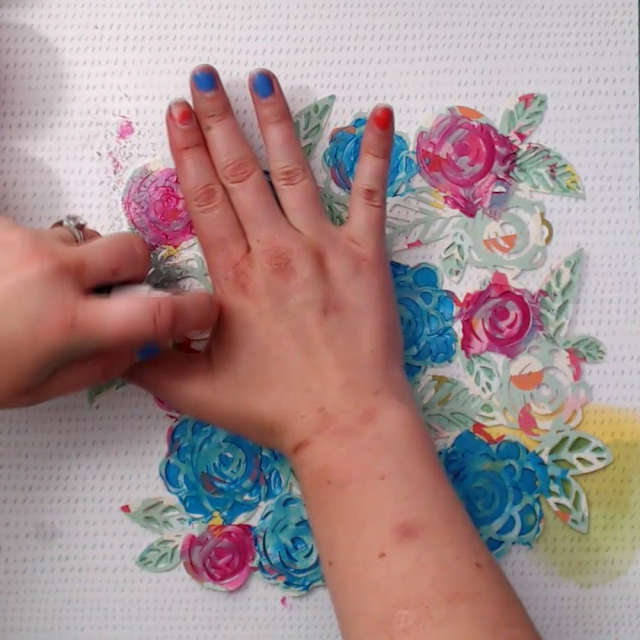 This technique can be quite complex, especially with a cut file like the one I picked out. My first idea was to put foam on the back of the little petals, but they were so small I didn't feel like that would work out very well so I decided to glue the pieces to the mixed media petals on the first layout. These are just a few ways you can use your cut files. 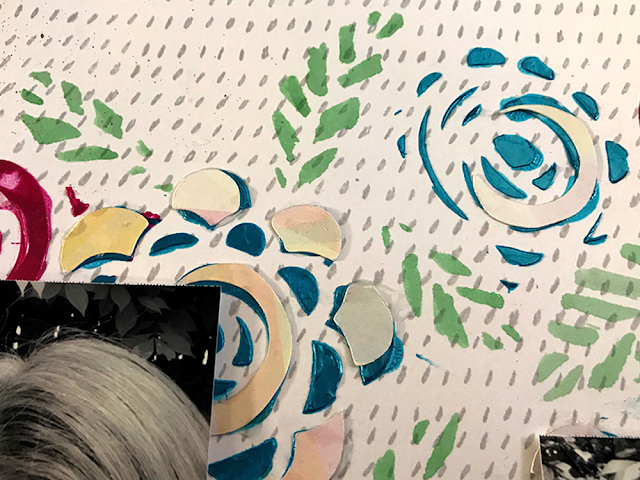 There are so many others as well, such as back the file with patterned paper, which is really popular and using the outside piece you usually discard. There are more I probably haven't even thought of yet as well. Thanks so much for stopping by!! I will be posting more layouts and projects on my blog and YouTube channel for the rest of the month so be sure to subscribe so you don't miss out! And don't forget to use my code if you sign up for a new kit subscription (MEGANB25OFF). I hope you have a wonderfully scrappy week!